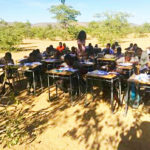 THE Okondaunue Primary School, situated about five kilometres outside of Opuwo in Kunene Region, became the focus on social media after it was discovered that the majority of learners were being taught under a tree due to a lack of space in the available classrooms. According to information, the school can only accommodate 100 learners. This year alone, however, the school increased its enrollment to 740 learners due to lack of school placement. Governor of Kunene, Marius Sheya, recently revealed on social media that he visited the school after he was alerted about the situation on social media. He, however, blamed the school management for poor planning, coordination and consultation. Sheya stated that they took long and short term decisions to introduce morning and afternoon classes in order to utilise the facilities they have and to put up temporary structures. Approached for comment, Ministry of Education Arts and Culture spokesperson, Absalom Absalom, acknowledged that the ministry is aware of the issue at Okondaunue Primary School, but that the issue has been resolved. 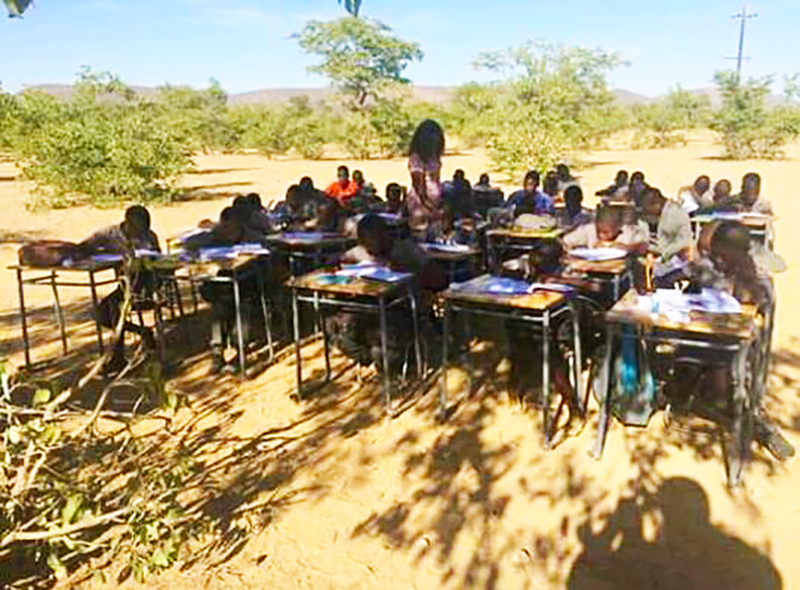 “Learners being taught under a tree was a temporary measure by the school when some learners showed up at 11:00,” explained Absalom. Absalom further noted that the issue has been rectified and that the school is implementing the platoon system. The regional Directorate of Education, Arts and Culture has since provided the school Principal with the guidelines on how to run the school with the platoon system. In addition, the Directorate has also completed the Basic Education Facility Form for consideration of the school. “As a ministry, our stand is to build and provide permanent classrooms for every school but due to the fact that demand exceeds supply, in cases of emergency, tents and other forms of temporary structures are erected at schools to arrest the situation with the aim of replacing structures as soon as funds permits,” he explained. He added that the conditions of school infrastructures are not limited to classrooms but can include hostels and teachers’ housing units.